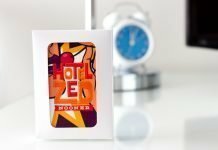 Unboxing The Most Amazing Luxurious Nights' Sleep! Have you ever suffered a bad nights’ sleep at the hand of a bad mattress? If the answer is yes, then you know how I was feeling for the last few years! My husband and I suffered sleeplessly in pain as the box retailer we purchased our bed from would not honor their extended warranty that we paid extra for. The split box spring warped leaving us unsupported and uneven. We were sick of endless hip/lower back pain, the restless nights and complete discomfort. Then we found the Canadian-made mattress with rave reviews. I knew Endy would change our sleep! There is no word of a lie here folks. Back pain GONE. Previously, I was unable to roll over in my bed without pain radiating intensely throughout my body! Unable to put my feet down on the floor without tremors pulsing through my body! I woke up after that first night’s sleep and my life had changed! Why? 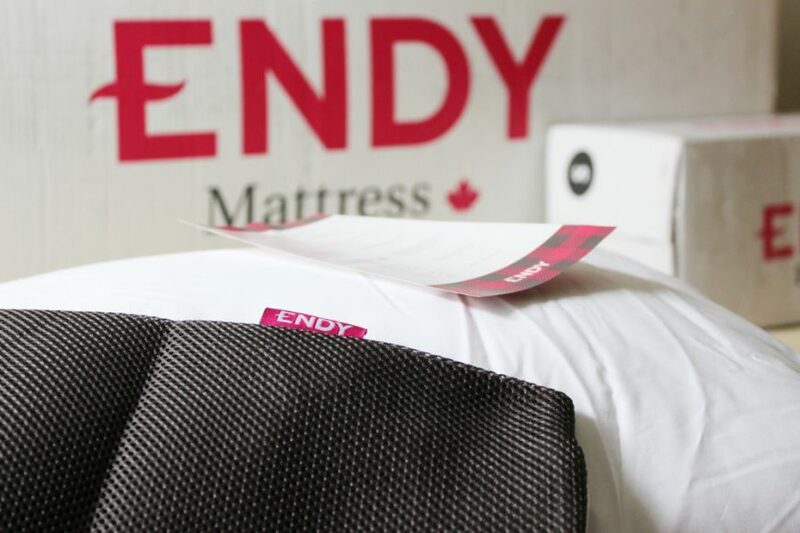 What’s so great about the Endy mattress? How is it possible that I would see such a difference after one night? That open-air cell structure is designed to provide the best support reducing pressure and contouring specifically to each body! It doesn’t stop there. each one of those perfect little tiny air cells acts as a shock absorber. They release air independently as pressure increases, hence why I was able to wake up with no back and hip pain! Endy has taken the comfort and support that foam beds are known for and elevated it with a unique foam composition. With 3 total layers, the top layer is not temperature sensitive, which means that your mattress will keep the same firmness year-round. 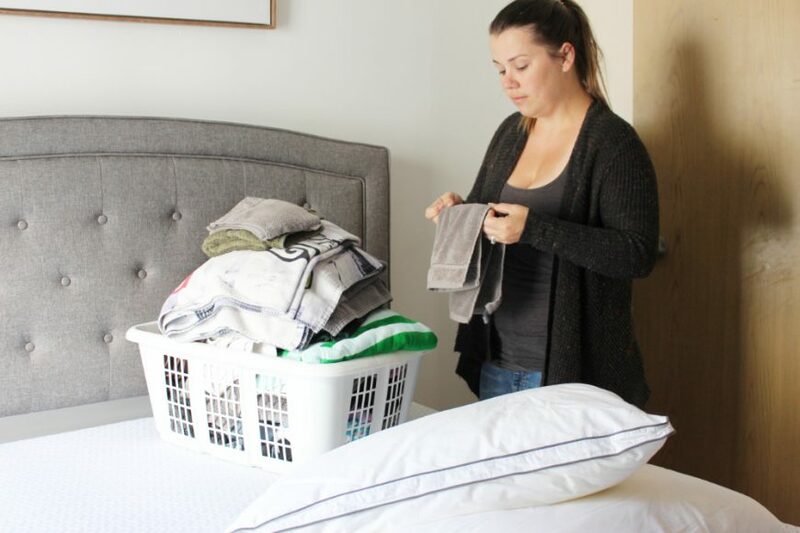 Endy is made with a quilted top to add to the comfort and to encourage airflow for a cooler night’s sleep which solved my next problem- Overheating! 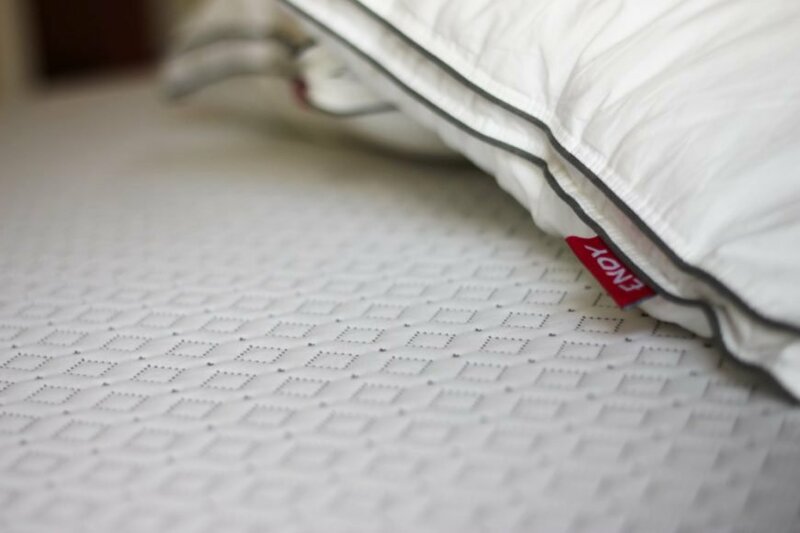 The foam’s top layer uses open cell technology which allows heat to dissipate from the body faster, hence providing us with a cooler and higher quality sleep. For my husband, it was like crawling in bed with radiator! 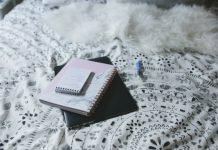 Now, my between my tossing and turning in discomfort, my husband working late nights a few times a week, and getting up with kids, I don’t know how long it had been since we both had uninterrupted sleep. Thankfully Endy has that fine cell structure which decreases motion transfer. This translates to a life of luxurious uninterrupted, supported and restorative sleep we need and deserve! 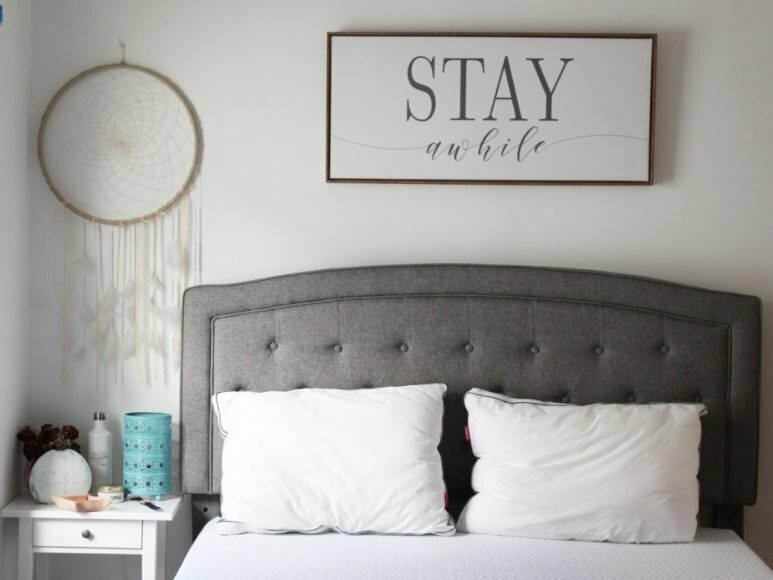 A good nights’ rest is essential, our bodies need us to invest in the quality of sleep we get making this Canadian-made Endy mattress backed with a 10-year warranty one of the best investments you will make on your own health and wellbeing! I’m going to up the game here a little bit and go one step further. I’m going to share with you one of my “not-so-secret” secrets. Because of how the Endy mattress is made and the support that it offers, one of my favourite things to do in bed is… WAIT FOR IT… YOGA! Yes, Yoga in bed is a real thing! There are so many stretches that you can do from the comfort of your own bed. Maybe it’s something you do at night to fall asleep, or first thing in the morning? 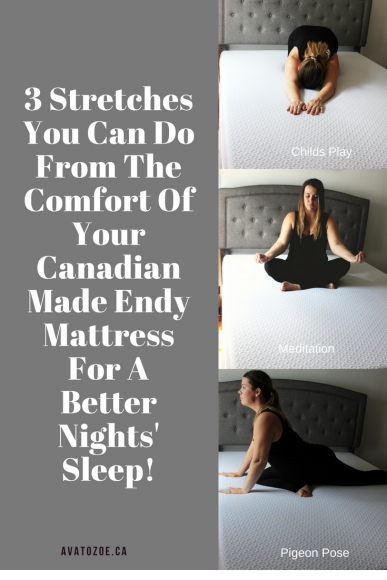 Regardless of what time of day it is, a few simple stretches along with the most supportive and restorative Endy mattress is the perfect combination for anyone looking to make some small changes to their overall health and wellness. Now just in case, I haven’t 100% sold you on Endy just yet, Endy also has a 100-night trial. If you don’t love it for any reason, Endy will pick it up and issue you a full refund no questions asked. Be sure to follow Endy on Social Media to see more unboxing videos and learn why more and more people are falling in love with Endy every day! Next articleOMG! The Most Delicious Cheeseburger Spring Rolls Ever! Wow, the mattress looks amazing! And the fact that you can do yoga poses on it!! It’s the best sleep I’ve ever had honestly! I cannot believe how something so supportive came out of a box! That matteress looks incredibly comfortable! Have to look into that for our guest bedroom! So glad that the Endy mattress is doing great things for your back! I to noticed how much better our sleep has been ever since we got our mattress. I’m so glad to hear that! Isn’t it just the best! Hows your mama liking hers? You know where I live. You’re welcome to come on over ANYTIME! Omg soooooo jealous I hear nothing but amazing things about this mattress!! I love it and I want your bedroom! lol.. I highly recommend it if you’re in the market for a new bed! And you’re too funny, the bedroom literally has taken YEARS to find the exact pieces I want so I’m very proud of it! That looks like a really comfortable mattress. When I go to bed tonight I’m going to try out those stretches. Ooh! 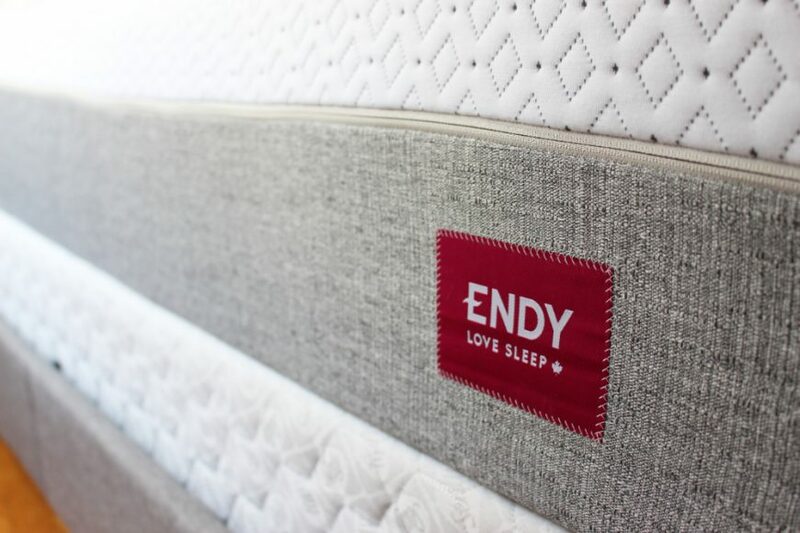 Have been wanting to try an Endy mattress for awhile now. 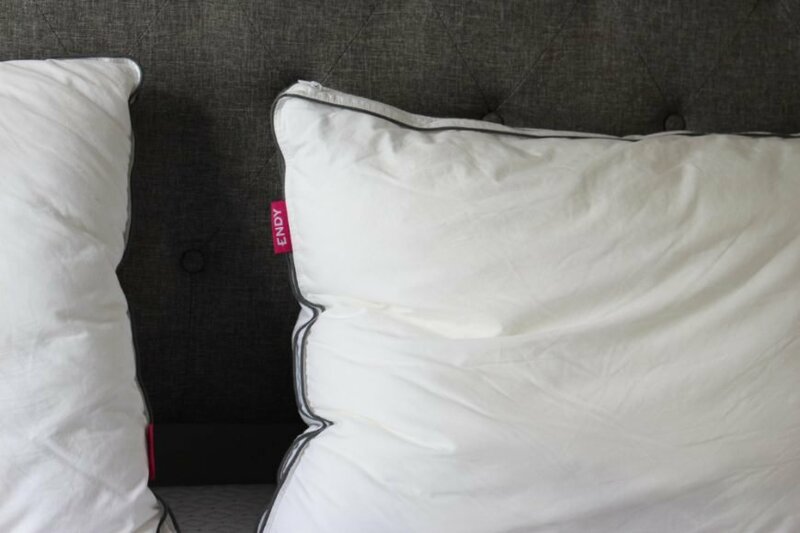 Love our Endy pillows….now you’re making me want to take the plunge on the mattress!! Thanks for your review – this mattress looks super comfy! I’m actually in need of a new mattress . I’ve heard good things about Endy mattresses and they look super comfortable. I’m torn between the Endy mattress or the Casper . I’ll have to look into prices for the Endy mattress .